Barth: If you ever have a chance to participate in a job-shadowing program, do it! When asked to host Isabel, I saw it as an opportunity to mentor a young person and help guide her career development. What I didn’t expect was to be mentored by her, too. But that’s exactly what happened. Spending time with Isabel gave me better insight into what’s on the mind of Generation Z, both in terms of their own future and that of our state. This generation has a lot in common with the Silent Generation — those born between 1920-1940 — who were shaped by war and the Great Depression and became known for their commitment to service, their tremendous work ethic and “waste not, want not” attitude. Isabel not only has firm ideas about college and career, she also works incredibly hard and is very interested in finding ways to give back to the state and help revitalize our economy. Vance: For my generation, technology is ingrained in everything we do; we are true “digital natives.” Technology can be intimidating, so we’ve learned to be cautious with our social media because our accounts are so closely scrutinized. But that teaches us to create an image of ourselves that we want the world to see, to market ourselves. It’s a tool that will help us immensely in our professional careers. Barth: TechConnect West Virginia aims to diversify the state’s economy by catalyzing growth in technology. At the same time, we’re very interested in making sure that students are ready for jobs of the future, and with the rapid advance of disruptive technologies in so many sectors, it’s hard to know just what those jobs will look like. One thing I observed from Isabel is that her generation understands that high value workers will be in the fields of Science, Technology, Engineering and Math and will need to be comfortable with tech and have at least an understanding of software coding skills and more. Vance: My generation is moving faster than any other. I am graduating high school, but, by the time I begin looking for a career, there are going to be so many jobs that don’t even exist now. That makes entering the workforce today a much different experience than it was for our parents and generations before that. We have to be aware of jobs based largely on patterns because they will likely become obsolete as artificial intelligence replaces tasks that humans do now. I plan to major in accounting, but I know that won’t be enough. I’ll need to apply a wide range of skills to land — or create — the perfect job. Barth: A lot of effort is now being spent on developing a more robust culture of entrepreneurship in the state — not just in the tech sector, but also in tourism, local foods and manufacturing. And most of those will intersect with technology, so closing the skills gap is critical. Vance: America was built on great entrepreneurs, and I believe our generation is going to embrace entrepreneurship because everything we need to know is right at our fingertips. We’re comfortable with tech and digital platforms, and we know how to use social media to promote and market our ideas. Barth: When we talk about economic diversification, we also talk about the talent pipeline and the need to stem the tide of young people leaving West Virginia to find employment. I learned that Isabel is encouraged about the range of possibilities that will exist for Generation Z.
Vance: Growing up here, we learned that to be successful in a professional career, you have to leave West Virginia. But spending the week learning about innovation and entrepreneurship reveals the contrary. It is inspiring to see the economic growth here, and we can use that to encourage more young professionals to stay in the state and help make West Virginia the place where young people want to live, work and build a family. It’s an exciting time to be a West Virginian! I’m passionate about being part of this transformation. We have amazing assets here, from wonderful skiing and whitewater rafting to great universities and a history that people here remember. We have the ability to boom again, and I want to be a part of what makes that happen. My message to other members of Generation Z is to remember your roots. It’s great to leave and see different cultures and experience diversity, but remember where you came from and how much West Virginia needs us. 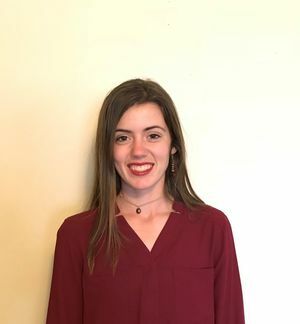 EDITORS NOTE: High school senior Isabel Vance recently joined Anne Barth of TechConnect West Virginia for three days of “job-shadowing” to learn more about what an executive director of a nonprofit organization does each day. Isabel and Anne were matched by a mutual friend who co-founded a tech company in Huntington in 2016 — Lee Farabaugh of Core10 — who rightly guessed that they shared similar interests and would enjoy each other’s company. What they both learned from each other led to a conversation about West Virginia’s future. Isabel Vance is a senior at St. Joseph Central Catholic High School in Huntington. 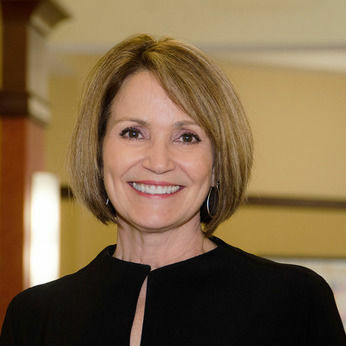 Anne Barth is executive director of TechConnect West Virginia, based in Charleston.